It’s still hard to believe. Hard to swallow. Hard to watch the videos of a country music festival cut short by the hollow pop of gunfire. Hard to read the accounts of survivors who made it out thanks to luck. Hard to know that so many others didn’t make it, that so many parents, siblings, children and friends went to a concert and never came home. Fifty-nine dead. More than 500 wounded. The deadliest mass shooting in U.S. history. Tragedy unfolded Sunday night on the Las Vegas Strip, when a lone gunman inside a hotel tower opened fire on a crowd of about 22,000 inside the Route 91 Harvest Festival. The stories from those who were present are devastating, and they’ll be lodged in the public mind for a long time. For those who know Las Vegas, that’s a scary thought. 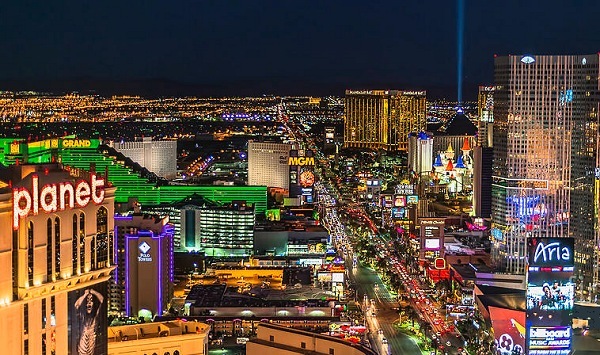 More than almost anywhere else in the U.S., Las Vegas relies on tourism. Casinos are the city’s engine and visitors its fuel. Together, they drive the local economy, providing tens of thousands of jobs and billions of dollars in economic impact. In 2016, Las Vegas welcomed a record 43 million visitors, and through the first eight months of 2017, the city was on pace to hit nearly the same figure. But now? Las Vegas has carefully cultivated an image of escapism. Through cheeky campaigns and smart slogans, it’s established itself as the place to let loose, overindulge and kick back. Las Vegas gives you permission to be selfish. Welcome to Fabulous Las Vegas, check your responsibilities at the airport. But today the city is in mourning. Today Las Vegas is grappling with a tragedy that targeted locals and tourists alike, that turned our adult playground into a firing range. Today Las Vegas is turning inward, rallying together to support and protect the victims of the mass shooting and to try to understand how to move forward. It’s a question that doesn’t have answers. More than anything, it will take time. But for Las Vegas to survive and thrive, it will need to keep being Vegas. It will need to keep throwing parties and celebrating life. The city cannot be bowed or quieted. Las Vegas must shine on.